Watching a light of recognition dawn in his eyes, I breathe easy for the first time in days. Though I know we still have a long way to go in our understanding of one another’s perspectives. Pictures from the past were drawn in varied shades and hues. Neither of us saw exactly the same image on the screens of our minds. As streams emerging from the same Source, we had every expectation of converging together in a river of reflection. Instead, we meandered tangentially into rivulets of our own making. How had we arrived here? Barriers were breaking and walls crumbling before our very eyes. Conversation crept into those private places where we feared to tread. And I heeded these words, “We tend to wall off our hearts in the aftermath of pain”. The prison we know can feel safer than freedom as its walls close round us with comforting familiarity. After 38 years wedded and bedded, we were gradually becoming more emotionally intimate than ever before. Especially about our sexual intimacy. While my beloved viewed our courtship and surrender to one another through seemingly rosy-tinted lenses, I saw it very differently. Now, I need to refresh my vision and version of events. Because I have unwittingly transferred guilt from the childhood emotional and sexual abuse I’d received to my husband. I am discovering more about how “we can live in reaction to a negative relational experience and eventually stagnate, or we can ask God to compel us forward to a kingdom goal”. Retreating into my own worldview doesn’t help me to see or accept my husband’s. I have to dare risk being wrong or misguided at least. “When we’re hurt we tend to retreat, nurse wounds, or lash out” and I have done all three. How would it look to “turn to God in praise instead?” or is that too much to ask of a heart at war with itself? Maybe. Though “eventually we have to choose to move forward”. This marriage had been cluttered from the start. Perhaps now was the time to send past thoughts and fears packing and begin with a lighter load? 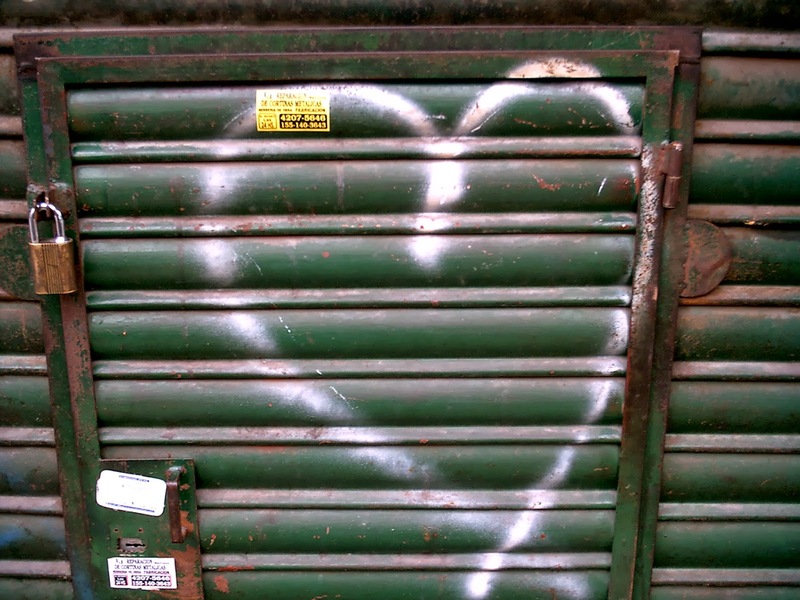 For past relational baggage “should not define us, nor should the pain from it inform the way we interact with or withdraw from others” because it “strangles our ability to live freely today”. As I begin to embrace a fresh perspective, asking God to renew my mind by the light of His word, make a conscious choice to move forward rather than cling to familiar, He is giving me all the grace I need to see things as He sees them – and it is good. I want to break free. I want to live an uncaged, open-hearted life. To live, love and give as God desires me to as wife and lover, mother (and grandma-to-be), friend and helper to others. And in the process, “living without walls means becoming more proactive in the way we deal with hurt” which can only serve to aid with healing those broken places in our hearts and lives. “If you have a wall firmly built around your heart, ask Jesus, the great gateway, to make a doorway through. He is the gate. He is the avenue leading toward a rich and satisfying life – not a stingy walled-off life”. I have been greatly helped in seeing walls beginning to crumble in my own life. It’s happened since I’ve read, digested and prayed over this book and allow God access to all areas. I am still very much a work in progress, but further forward from where I used to be. My growing awareness of these walls can be found here. And I long for you to be set free too, my friend. A walled-in life is one of misery and a walling-off from the liberty which Christ died to give us. 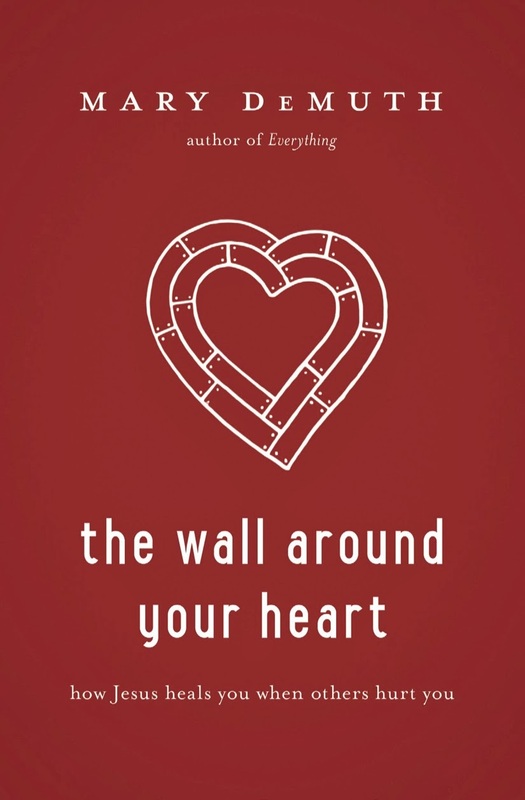 Because I strongly believe in the reality of being set free in Christ, and the way Mary de Muth’s message can aid in the process of becoming free and living a life without walls, I am giving away a free copy of ‘The Wall Around Your Heart’ here. All you have to do to be in with a chance is to leave a comment below and your name will be put into a random draw, with the winner being announced here soon after. To find out more about why Mary wrote ‘The Wall Around Your Heart’ (speaking from her own and the experiences of others) and why she desires us to live without walls, please click here. **NOTE** – Having been privileged to read a pre-release copy of this book and be part of its launch team, I can wholeheartedly recommend it on a personal basis. You can buy a copy here in the UK or if you live elsewhere you can buy it here. It is also available from Barnes & Noble. Maybe there are walls in your own life that need to come down? They could be walls of:guilt, shame, unforgiveness, anger, bitterness, resentment, or _____ (fill in the blank). Could this be the time to co-operate with God and see those walls crumble brick by brick to release you into a more open-hearted way of life? 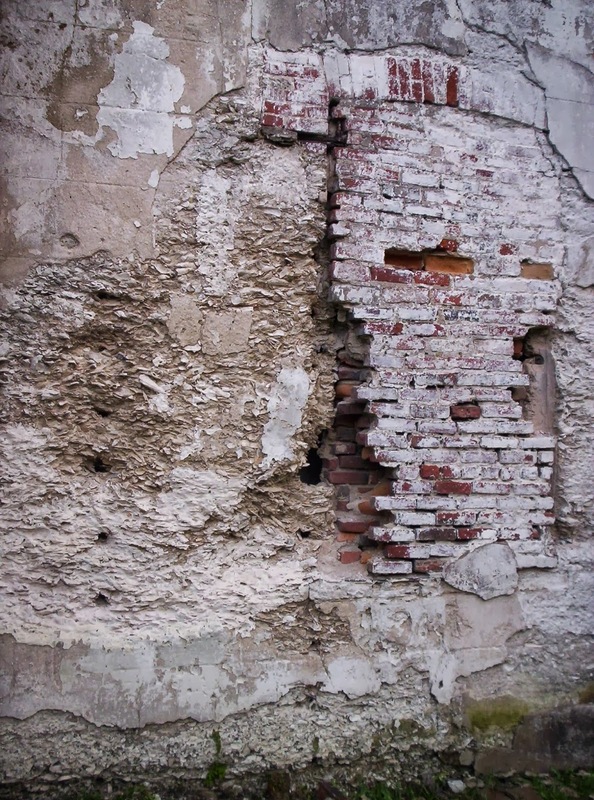 Allowing Jesus to knock down walls is hard. I had a different image to having a wall. I realised recently that a part of my heart had died. I have recently been working on a short story about the widow of Nain and how Jesus did a resurrection miracle in her life, and her son's life, without her asking. It gave me courage to ask God to resurrect that part of my heart. He did. I know it is now living but also paralysed. Now God is working to bring movement and life in His name to that area that is paralysed. But I have confidence it will happen. Jesus is Lord of my heart and I am learning to give it to Him piece by piece. Sounds like a great book. And it is a lovely, moving post Joy. Bless you. Thank you for opening your heart to share this post with us. I can see that Mary's book is not just something you let your eyes devour but something you let seep into your own life. I have to read this book. Just the things others have said about it are enough reason. Remind me to share a poem with you called Different. It had some of the same thoughts in it that you referred to when you talked about seeing different hues. Again, thanks Joy. You always give in what you write. I love that about you. I want to thank you sincerely for writing this post and sharing your heart with us. Mary's book sounds like a real journey and blessing to read. By being open and sharing your story, God's grace is proclaimed, and healing will be found. Anita, I love that verse! It's so life affirming and hope instilling. Much of our lives are spent reflecting on what has happened and trying to trace God's hand in it. Yes, breaking down walls is a painful business but if it brings us freedom it is worth it. I truly hope to share God's grace in my life and witness as I await further healing to come. Mary's book may be instrumental in helping that process to happen for so many. A brave and (as always) beautifully written post Joy. Thank you for sharing so honestly, I'm so glad you have been blessed by what sounds like a book I need to read. Dearest Joy, so long to get in touch, so long to feel the comfort and the assurance of your words! This is a beautiful post, one I could have written about hiding behind walls. I, not sharing my pain for my family's tribulations, and my daughter, who for years had blinders on and pretended all was rosy. Finally the walls are coming down, only with God's help and nudging and hopefully she too, and all of us, will be free to move on to a life she deserves. The book sounds great…something to read a little later since this is an extremely busy time for me. God's blessings and love to you, sweet friend! I truly miss you! Dear Katina, I have certainly missed your words of wisdom and creativity! It's lovely to see you here again and around the groups we frequent. I'm sorry to hear of your family situation, though it sounds as if recovery and healing are taking place – praise God! This book would be a really useful and helpful resource for you. I do hope you get an opportunity to read it. Your willingness to be so candid about your own journey may make it easier for others to begin theirs. I liked the quote you referenced: “ The prison we know can feel safer than freedom as its walls close round us with comforting familiarity." This is true. Witness the man at the Pool of Bethesda in the Gospel of John, chapter 5. He had been 38 years in a terrible state, yet when Jesus asked him, “Wilt thou be made whole? ", he didn't answer, “Yes!" Instead, he gave a reason (excuse) why, to his mind, he COULDN'T be made whole. Sometimes, we answer Him the same way. Neil, I am truly grateful if God uses my openness to encourage others to open up about their problems too and be able to find the help and healing they need. The Pool of Bethesda story has challenged me for years as I questioned exactly the same thing. God will not push us into healing or change. He is gentle, yet persistent, in His dealings with us and will wait for our willingness to allow Him to do the necessary work within us. Now a confession – the 'quote' you referenced was actually my own. I see now that coming after one from Mary and being in italics as well may have suggested otherwise. So I have taken the italics off now to (hopefully) avoid any further confusion! Thank you for drawing my attention to it. This is such a beautiful and challenging post for someone who has spent a lifetime hiding behind walls. As you say eventually we have to choose to move forward. How hard those first steps are though. Thank you for your heart to share from your own experience with honesty and constant reminders of God's healing touch. Oh, Joy, tears came to my eyes when I read this – you write so simply, so beautifully about such profound and painful things. I think it's a book I need to read, and at the same time I am sure that it won't be easy. Thank you for your courage and honesty in sharing your response to Mary's book; when someone says, 'Me too', it makes us all feel less alone. I have a psychologist friend that often reminds me that I have to stop building walls around me. She correctly observed that no one knows the real me. Your post echoes that. We are so used living in our towers – i like the view – that we forget that our husbands struggle with this. We are married for 25 years and the other day had our first real talk about us and what we both want from our marriage. I am so glad we did because for the first time, we have the marriage we should have had from the beginning and we both are happy. You opened your heart to let in the world and in the process you helped me too. Thank you. It is all too easy to build those walls of protection around ourselves, isn't it? Only, over time, they can harden and become very difficult to shift. It often takes another person's insight to reveal they are even there, as we can become blind to our own defence mechanisms.